The CNC (Computer Numerical Control) milling machines are one of its kind computerized equipment, specifically used for flat or solid surface, sometimes used for the rough surfaces too. These machines are generally used for cutting gears, to bore or to drill. 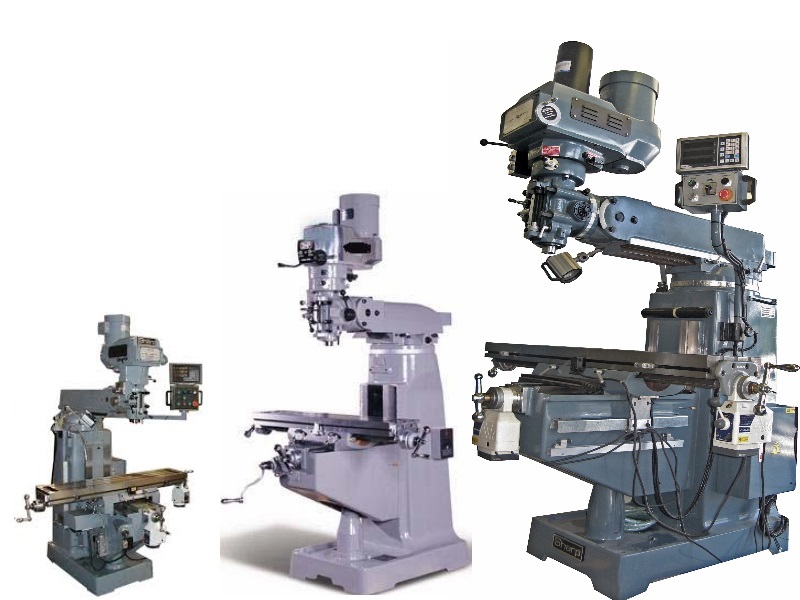 The milling machines are usually categorized into two distinct parts- the vertical and the horizontal milling machine. In most of the industries, you will often see the use of the vertical milling machine as it is known for providing better results. You will often found this equipment mostly in the machine shops near you. The primary use of this machine is to reshape the metal by evolving the cutter. The CNC milling machines are usually set along with power feed which is smoother, in order to produce smooth surface as compared to the manual feed. The high-tech machines are also programmed with the cooling systems as well that is known for controlling temperature of the machine while the machine is being used for a prolonged period of time. Bed-mills: It is the kind of vertical milling machine, where the table is only allowed to move perpendicular to the axis of the spindle. While the machine is on, the spindle moves parallel in its own axis. The bed mill machines are quite popular among people, who require cutting or drilling minor things. You will often find a hobbyist using this machine due to its compact size and its availability at affordable price. Turret mills: Turret mill machines are often compared to bed mills, but they are way more different than the bed mills in actual. This mill machine is quite versatile and can be used to cut anything or everything. While you are operating the turret mill, you will the notice that the spindle mill remains in a stationary mode during the cutting procedure, but during the process the table moves perpendicularly and parallel to the axis of the spindle to make it easy for you to cut things. There are multiple benefits of using the CNC milling machine. The first and foremost benefit of using the vertical milling machine is it can perform the drilling jobs quite efficiently without putting in much efforts. Basically, these machines are classified on the basis of the axes they have- axes are labeled as x and y for the horizontal movement and z for the vertical movement. The CNC milling machines are basically programmed by using a series of standard commands. Depending on your purpose of use, you will find many machines available in the market. It is highly recommended that you assess your requirements well, before using the material. Until and unless you use the vertical milling machine, you will never be able to understand how beneficial it is. You can cut metals of any kind with this machine quite effortlessly. You can even cut plastic and wood, using this CNC vertical milling machine. Another benefit that is worth mentioning here is the accuracy of the cut, while you are cutting anything with this machine. By using these machines, you can cut at any angles without problem. Heavy industries make use of these cutting and drilling machines. The automated cooling systems ensure that the machine performs well even when it is in use for a prolonged period of time. With so much of benefits that these machines provide, it is amazing if you can buy one.